Auto upholstery shops that look and act professionally command greater respect, are more likely to be trusted with valuable projects and can charge more for their services. This is true of all types of shops, from one-man operations to those that employ multiple full-time trimmers. Have you ever called a business and heard the person on the other end of the line greet you with a lone “hello” or “yeah”? It always leaves me confused and wondering if I mistakenly dialed the wrong number. It’s simple, respectful and, most importantly, professional. Auto shops that allow employees to wear whatever they want are perceived as sloppy. This is especially true of auto upholstery shops, which should be especially mindful of aesthetics. Craftsmen in our industry typically wear navy blue or dark grey button shirts and pants with black shoes. Some also wear embroidered name tags. Of course, there’s no hard rule. 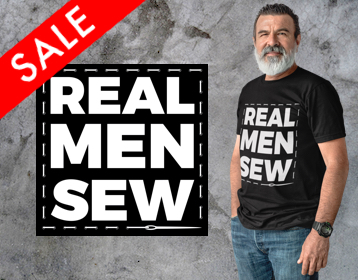 A shop’s uniform could just as easily be a red silk-screened t-shirt with the shop’s logo on the back and black pants. What’s important is that everyone is dressed the same. A trimmer who takes pride in his appearance can be trusted to take pride in a customer’s car. Would you trust a dentist with a crooked, brown smile to clean your teeth? Then there’s no excuse for an automotive professional to be driving a junk bucket. Trimmers who make pickups and deliveries don’t need brand new vehicles. But their cars should reflect professionalism. That means no major damage and, of course, a clean and well maintained interior cabin. This is especially true of auto upholstery shops that place magnets or stickers bearing their shop’s name and contact information on their vehicles. As an automotive professional, your vehicle is your calling card. If it looks bad, the public will interpret it as a reflection of your work. You know who doesn’t use business cards and custom-printed invoice slips? Amateurs. In today’s digital age, custom stationary sounds old school, but it’s still as necessary as ever. Customers like to see and feel paper evidence that you are, in fact, a professional auto upholstery shop. Don’t believe me? Try to accept a $500 deposit without giving a customer a proper receipt with your shop details printed on it. No way he’ll trust you not to run off with his money. Custom stationary is relatively cheap, but can go a long way to showing customers you’re a professional who takes his business responsibilities seriously. In this digital age, customers – especially those under 35 years old – expect every business to have a website and social media presence. It’s how they find your shop, vet the quality of your work and find your business hours and contact information. For this reason, trim shops should consider their digital presence an extension of their brick and mortar shops – and treat it just as seriously. It’s not necessary that shops shell out thousands of dollars for complex websites and spend hours every day updating Instagram and Facebook. In fact, most trimmers don’t have the time or patience for that. Ask a professional web designer – or even a millennial family members – to design a simple, static website with a few photos of your work and contact information. If you want to create social media accounts for your shop, go for it. They only need to be updated whenever there’s something interesting to share: A new project, sale or other related news. Nothing says “official” quite like a shop sign. It doesn’t matter that a lot of your customers come by word of mouth. A good shop sign, even if you’re shop is not on a main road, announces to people they are, in fact, at the right place and you are, indeed, a professional. If you can’t afford to have one expertly made, pick up a piece of weather-treaded plywood and paint it yourself. You don’t need all the bells and whistles of graphics and lights. Just make it big, bold and presentable. Hang it high and proudly. Let the world know you’re open for business. 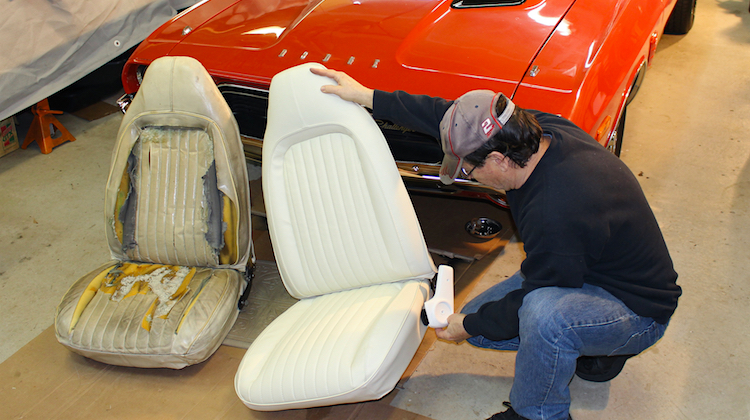 Professional auto upholstery shops are licensed and insured. Period. If this is you (and we hope it is), display a framed copy of your business license in your shop where customers can see it. Or, consider hanging a sign telling customers that you are licensed and insured. This will instill confidence in customers that their expensive vehicles are in good hands. And, if for any reason, something goes wrong, they will be sufficiently reimbursed for their losses. If your shop looks like a tornado hit it, we guarantee it’s costing you money. No customer likes to see a dirty or disorganized shop, especially those with high-end cars or major build projects. It leaves them wary of your professionalism and skills, and unlikely to give you their business. Our craft can be messy and dirty, but there’s no excuse for ending the workday without having put your tools away and swept the floor. Thank you! Glad to hear you’re doing so well! Lee’s Auto & Marine Upholstery,Inc. Great tips that you have shared. I am always willing to take a new tip. Thanks. Success to all!